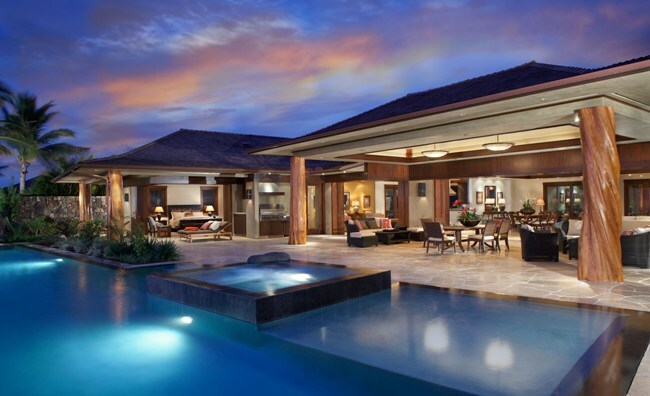 Nestled on the Kona Coast of Hawaii’s Big Island, historic Kaupulehu is home to some of the most exclusive residential communities in the world. 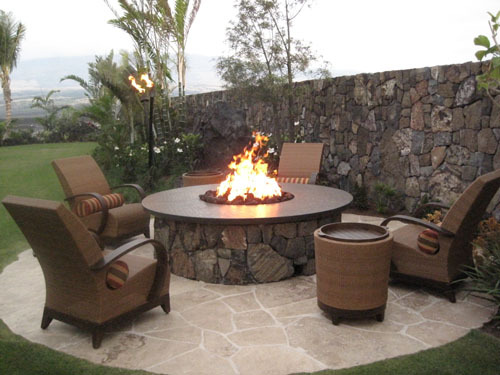 Kaupulehu Development Lot 35, one of the first luxury homes to be built in this new community, boasts nearly 6500 square feet of interior living space on a 1.25 acre lot, designed around a Hawaiian theme of openness and functionality. 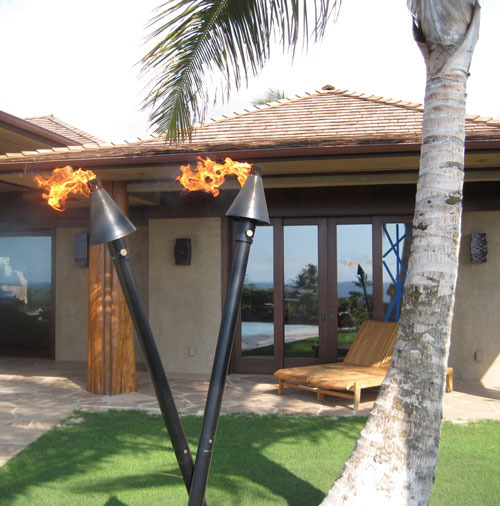 7 pairs of Black Cone Tiki Torches spread out around the property in key locations such as the entry gate, poolside, and back yard give the property an undeniably Polynesian flair, and a 4-foot fire pit covered in lava rock further enhances the ambiance of this tropical home. All of these decorative fire features are controlled by KM Integration’s intuitive automation system, allowing the user to turn them on and off from any of the 11 in-wall Touch Screen user interfaces around the home.